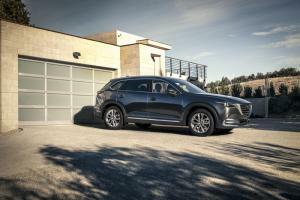 At the 2015 Los Angeles Auto Show, Mazda unveiled the new CX-9, the company’s seven-seat SUV aimed at the American market. The CX-9 is interesting for several reasons, but we’ll come to those in a moment. 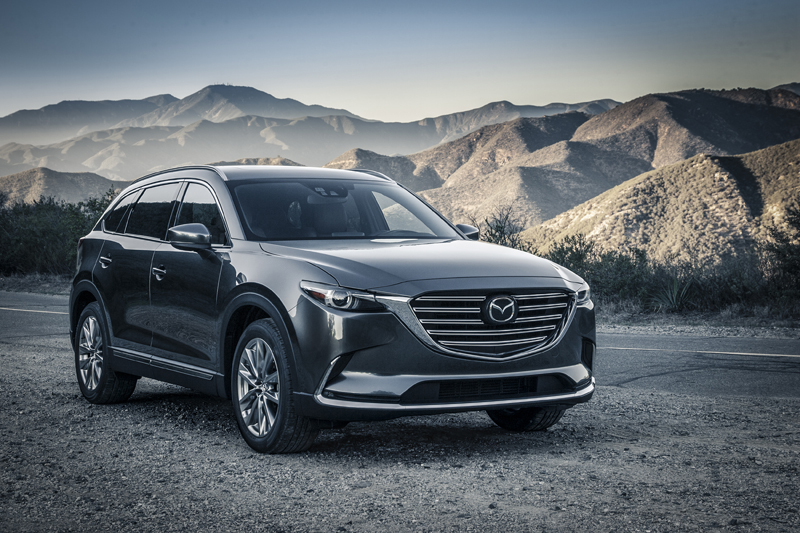 Because before we go any further, we have to make something clear: there are currently no plans to bring the CX-9 to the UK. Or Europe, for that matter. 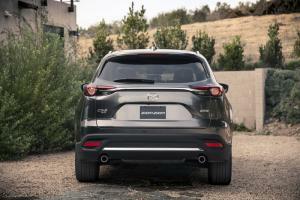 Mazda has one of the youngest product ranges in the market – the Mazda3, the oldest in the range, is itself only 18 months old – with its newest models such as the CX-3, revised Mazda6 and new Mazda2 all making compelling cases for themselves. 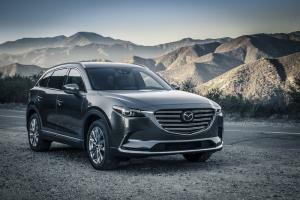 At least part of this is down to the evolution of Mazda’s design language – dubbed Kodo, Soul of Motion – and the new CX-9 shows us how Mazda intends to continue refining its graphic elements to keep it fresh. 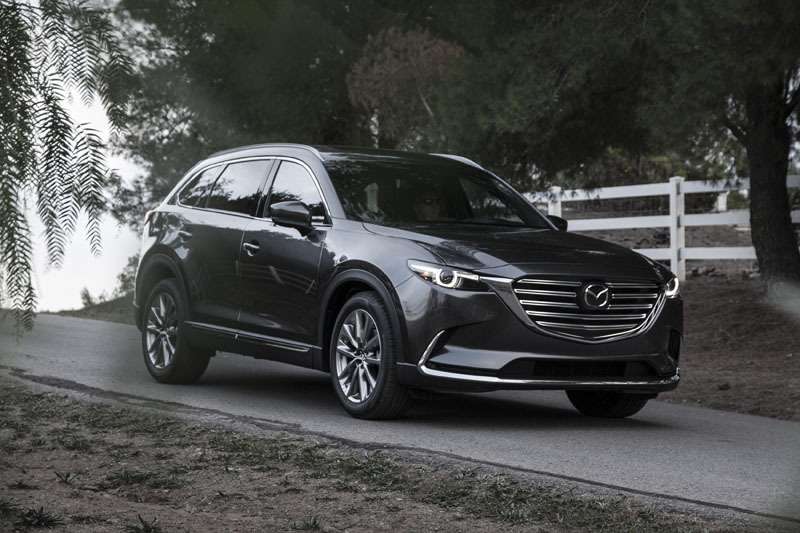 Most seven-seat offerings are, by their nature, rather boxy affairs, but the CX-9 shows us that this needn’t necessarily be true. 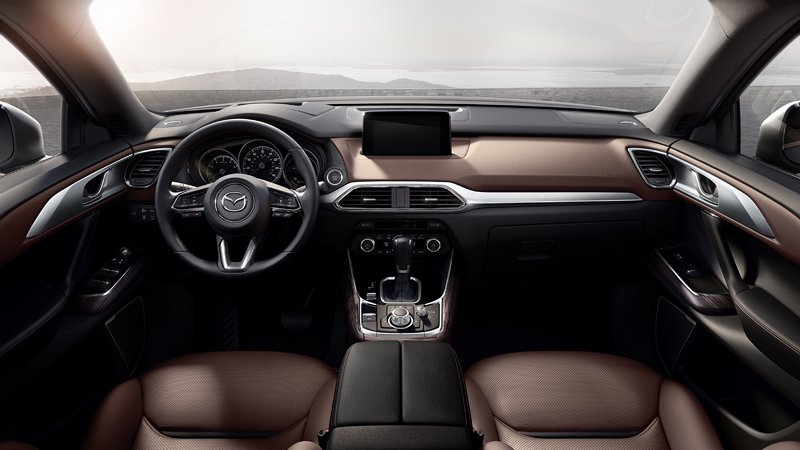 And the interior design offers a fine selection of quality finishes and premium functions, yet maintains a look of clarity and simplicity that’s often missing in this segment. Certainly as far as Range Rover are concerned, things have never been better, while the new Volvo XC90 has sold so well that extra shifts have been laid on at the company’s Torslanda plant. But what the XC90 really showed us was that buyers wanted to go ‘heavy’ on the premium, with three quarters of all XC90 orders being for the range-topping Inscription model. Normally buyers looking for seven-seat family transport would find themselves turning to traditional MPVs like the Ford S-Max or Citroen C4 Grand Picasso. 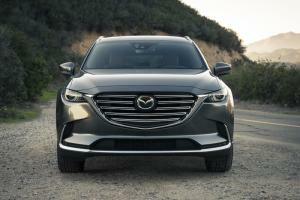 Worthy as those options are, customer demand is becoming more style-conscious with a shift towards SUVs. 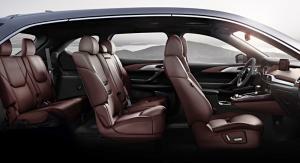 This is converging with demand from traditional large 4×4 buyers for the ability to carry more passengers in comfort. The new Kia Sorento, for instance, is now only offered in a seven-seat configuration, with the company citing lack of demand for the previous five-seat version as the basis for their decision. This is the big one for us. Mazda’s turbodiesel power-plants are all excellent. 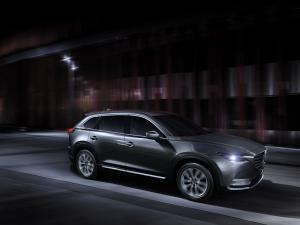 We’re particular fans of the 175PS 2.2-litre twin-turbo unit that you’ll find under the bonnet of the CX-5 and Mazda6. But lately, with concerns over air quality (particularly in London which is set to miss its EU targets), there’s a growing sense that we’re on the cusp of an anti-diesel movement. At any moment, the government may readjust VED (road tax) rules for diesel vehicles or, as we suspect, introduce an additional levy. While Mazda’s petrol engines are good, they are all naturally aspirated. To some drivers, the surge of power they experience as the turbo kicks in is perhaps a larger factor in their decision to buy diesel than any considerations around economy. And if the time comes that we need to convert these customers from diesel to petrol, it’s likely the loss of this punchy, low-revving power will be bemoaned by many. An interesting litmus test will be the arrival of the new Fiat 124 Spider. To all intents and purposes a re-badged MX-5, the 124 Spider has one key difference: the engine. While the Mazda uses naturally-aspirated engines of 1.5 and 2.0-litres, the Fiat version uses a 1.4-litre turbocharged unit. We argued in our review of the previous MX-5 that the time was right for a small-capacity turbo power-plant. Mazda insists that a naturally-aspirated power delivery preserves the purity of the MX-5 concept, but we’d argue that today’s heavily congested roads favour the ready availability of torque delivered by turbocharging. And, frankly, it’s a lot more fun having torque on tap than needing to downshift two or more gears and wait for the redline. Hell, even Honda adopted a turbocharged engine for the new Civic Type R, a car previously made famous by its screamingly high-revving VTEC nature. 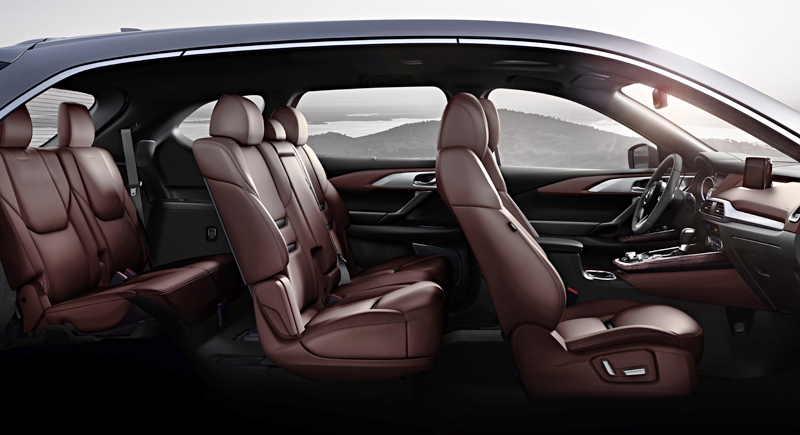 But what’s this got to do with the CX-9? Well, it marks the debut of Mazda’s first turbocharged SkyActiv petrol engine. Based on the 2.5-litre unit currently found under the bonnet of US-bound CX-5s and Mazda6s, with added forced induction it delivers an enticing 250PS and 420Nm of torque. Given the likelihood that we’ll all need to give up our diesel dependency, it could be just what’s needed.